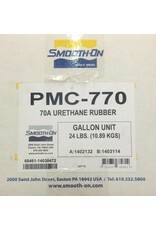 PMC®-770 is mixed two parts A to one part B by weight, PMC®-770 pours easily and cures at room temperature to a solid Shore 70A rubber that has exceptional performance characteristics and dimensional stability. It is suitable for production casting of abrasive materials such as concrete (pre-cast concrete, making concrete stamping pads, etc.) and gypsum plasters with high exotherms. 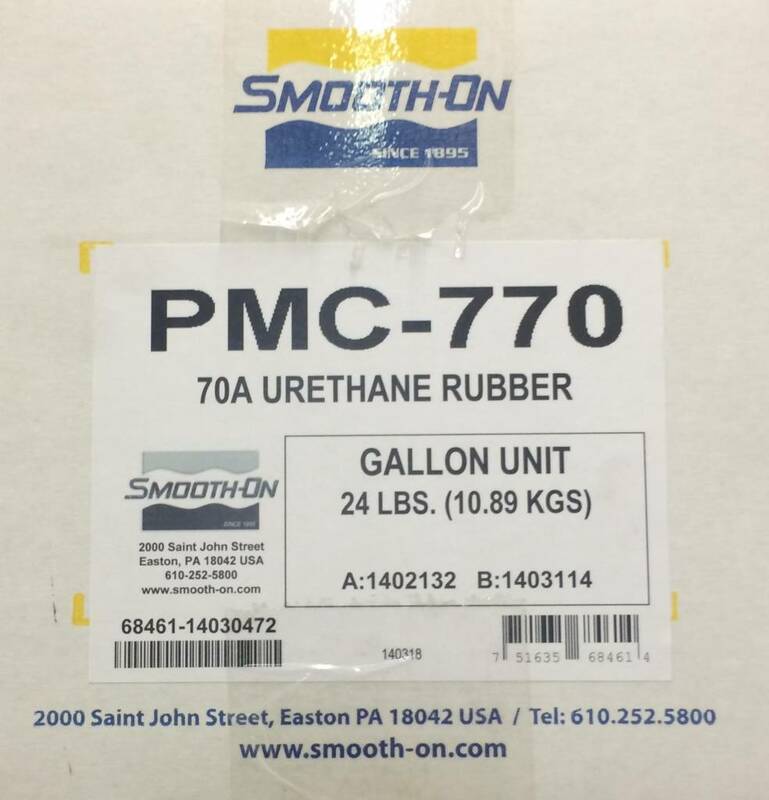 It is also suitable for rubber mechanical parts of varying configurations (gaskets, wheels, pulleys) as well as ball mill liners and vibration/shock pads.